I will be sitting down later this week with Jeff Marek, formerly of Live Audio Wrestling, Leafs Lunch, HNIC and currently Sportsnet. He'll be dropping by to record an episode of my podcast Toronto Mike'd, and I get an entire hour to ask him anything I want. I know what questions I'll be asking him, but I'd love to know what you would ask him. What questions would you like me to ask Jeff Marek? Is this who Todd married???? Now that I've fixed my typo, nobody will ever get your joke. Muhahahaha! Damn. It was a good joke. True or false: Jeff Marek is gunning for Ron McLean's job. I was sure Marek was in line for McLeans job when he worked for HNIC with Scott Morrison. Personally I think he would have been great, so not sure why he left. I thought Marek and Watters were the perfect match on 640. I assume they parted good friends? Can Jeff ever see Leafs Hockey going to a pay per view type format with CBC etc. shut out? Enjoyed him with Watters on AM 640, but haven't listened to much of his material since then. What happened to big daddy Donnie and Chris Tidwell from. The law ? Of all the people he has worked with, who is the most interesting? My off air question would be does Bill Watters have a huge ego? My comment to him is my dreamteam of cool guys to hang out talk sports and have a beer would be him and Strombo. You could not find two more likable people. Please ask him if he's aware of the fact that professional wrestling is fixed and fake? Also, ask him why a grown man would even be a bit interested in professional wrestling. I still like Wrestling. It's more real than 1/2 the events at the Olympics. Fun story lines, great athletes, and a few pretty ladies. Watch a match featuring Daniel Bryan. The guy is an incredible athlete. Anyway, I do have a question for Marek. Ask him his thoughts on broadcasting the Olympics. Also, on 640 he did Leafs Lunch and the Marek show... was he spread to thin? When he jumped from CBC to to Rogers, there was talk he may had wound up at TSN at the time, what goes into the process of deciding what is the best fit. Did he consider that it could have led to a "LAW" reunion for him. 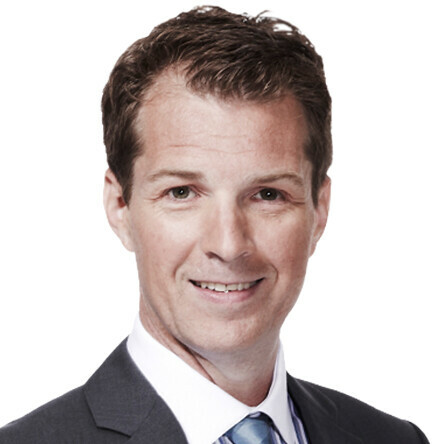 By the way, this interview will now happen next week because Sportsnet needs Marek in studio both Thursday and Friday.